We offer a wide range of hotels near Hull City from cheap accommodation to up market luxury hotels. Search our database of hotels to find the lowest rate for your stay closest to KCOM Stadium. The Holiday Inn Express is in the centre of Hull, next to the train station and directly linked to St Stephens shopping centre. It offers well-equipped modern accommodation and free Wi-Fi. Conveniently located in the centre of Hull, the Gilson Hotel boasts super-fast free WiFi in all areas, a bar, and 6 free parking spaces on a first-come, first-served basis on site. 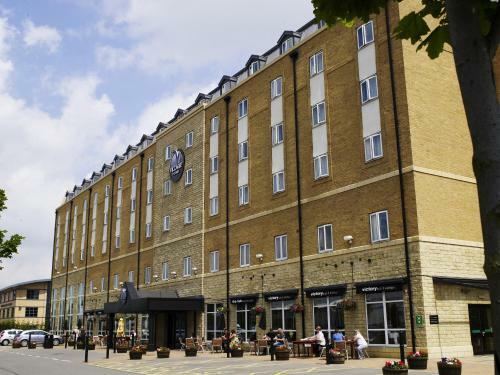 Sitting adjacent to the Humber Bridge, Village Hotel Hull is just 3 minutes' drive from the A63, which provides direct access into Hull city centre. It features a state-of-the-art health club, wellness facilities, a restaurant and a pub.